HOSTED THE 1ST ANNUAL INTERNATIONAL FORUM-EXHIBITION ” HANDS OF WOMAN”. 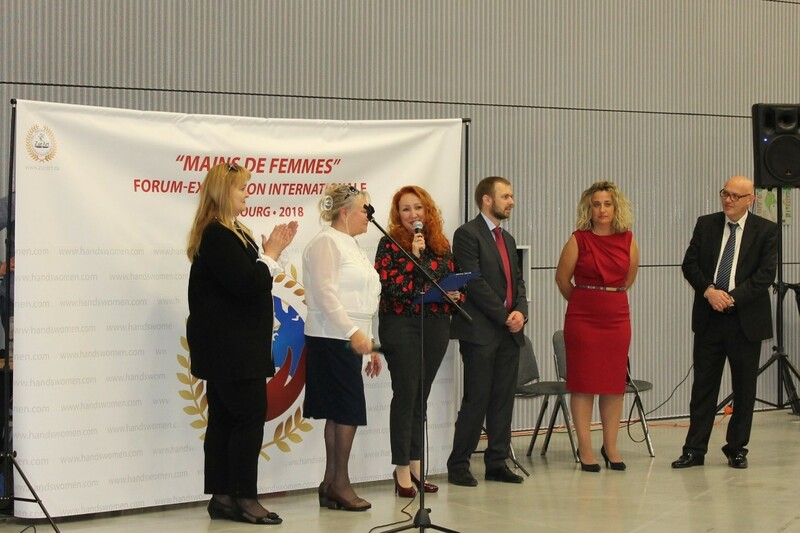 – "Зур Арт"
HOSTED THE 1ST ANNUAL INTERNATIONAL FORUM-EXHIBITION ” HANDS OF WOMAN”. 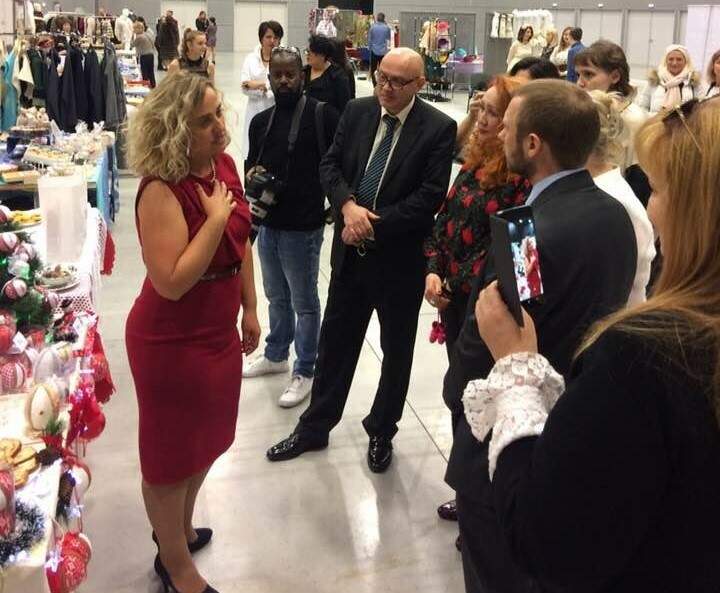 On November 3-4, 2018 in Strasbourg, France (the Palace of Congresses) was held the 1st Annual international forum-exhibition “HANDS OF WOMAN”. The organizer of the International forum-exhibition “HANDS OF WOMAN” is the Fund for support of cultural initiatives “Zur Art”. 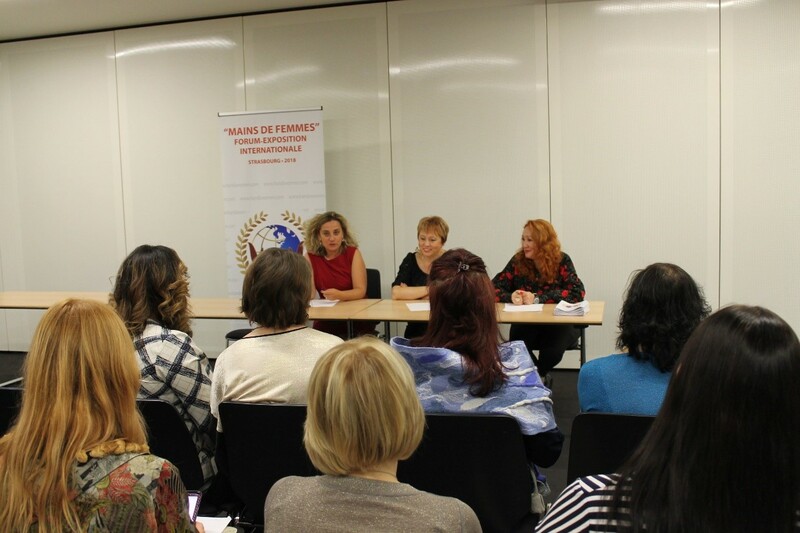 Co-organizer Of the international forum of the exhibition “HANDS OF WOMAN” – International women’s Union. International forum-exhibition “HANDS OF WOMAN” was held with the support of the presidential Administration of the Russian Federation (the Fund “Zur Art” is the winner of the second competition of Presidential grants 2017года Festival of decorative arts “HANDS OF WOMAN”), the Ministry of Foreign Affairs of the Russian Federation, Rossotrudnichestvo, the Ministry of economic development of the Russian Federation, chamber of Commerce and industry of the Republic of Tatarstan, the Russian Public Organization “Business Russia”. Vice Consul of the Consulate General of the Russian Federation in Strasbourg – Turygin D. A. Chairman of the Board of the public Association”Children’s time”, a Member of the Belarusian women’s Union, Director of the school ” May Baby» -Larisa, Malyavko. General Director Of the Fund “Zur Art” — Marat Shakirzyanov. 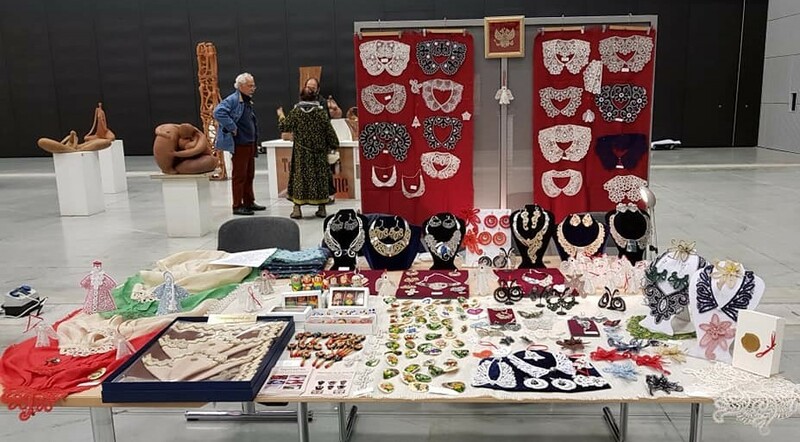 As part of the exhibition (exhibition and sale), the participants demonstrated their products as part of the international cultural heritage, original jewelry and national clothing, handmade toys and paintings, leather mosaics and embroidery on ancient techniques, airy lace and wood painting, Russian furs and much more. The international platform in Strasbourg is an excellent opportunity for the authors to develop their creative career, improve their professional status, and promote their creativity in the international cultural space. 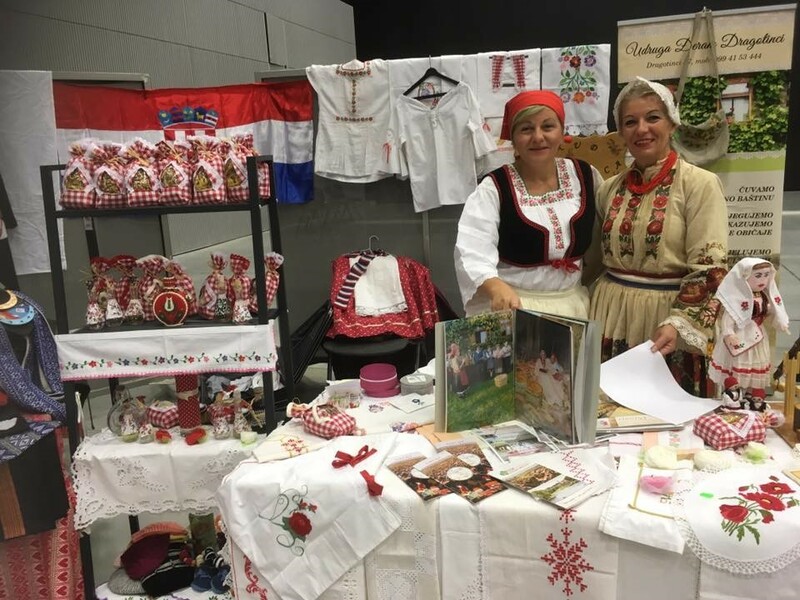 The delegation of Croatia has widely presented the products of their masters at the International Forum exhibition “HANDS OF WOMAN”. During the forum there was a plenary session, panel discussions on the support of small and medium-sized businesses of women entrepreneurs. Participants of the forum shared their experience of success. On November 3, the international forum of the exhibition “Hands of women” hosted an official gala dinner in the restaurant of the Park “Orangerie”, where 100 guests were invited. President of the Belarusian Union of Women, the Director of the school “May Baby” -Larisa, Malyavko, etc. 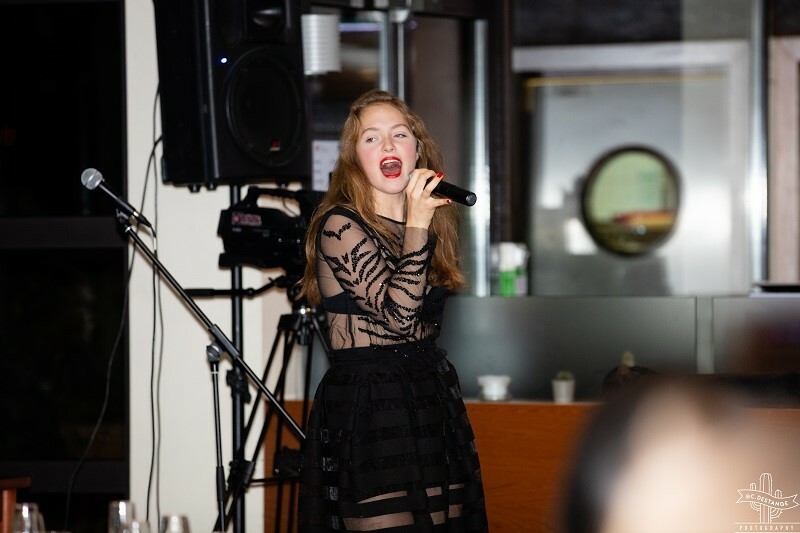 A fashion show of Croatian, French and Russian designers took place at the gala dinner. The official beauty partner was Metamorphoses school (Make –Up & SFX). French models were involved in fashion shows. and other artists from St. Petersburg and Strasbourg. 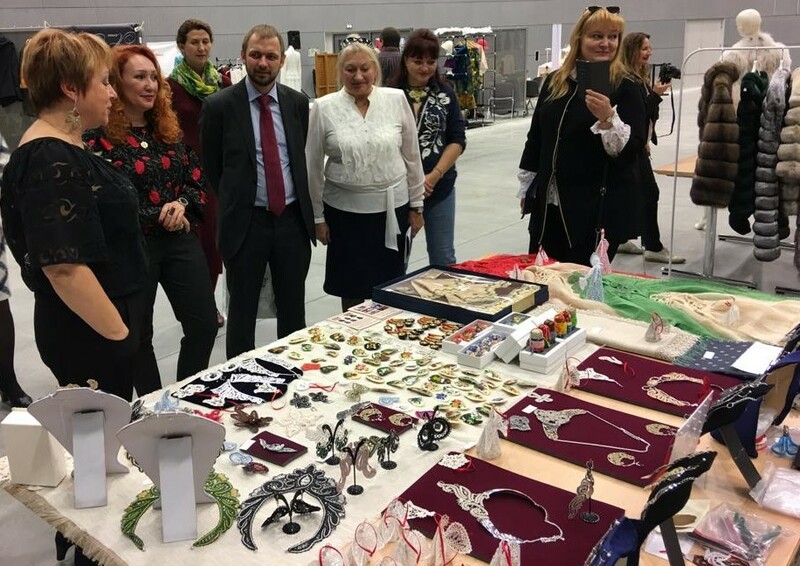 In the International Forum of the exhibition “Hands of a woman” was attended by representatives from Russia, Croatia, France, Belarus, Kazakhstan and Armenia. 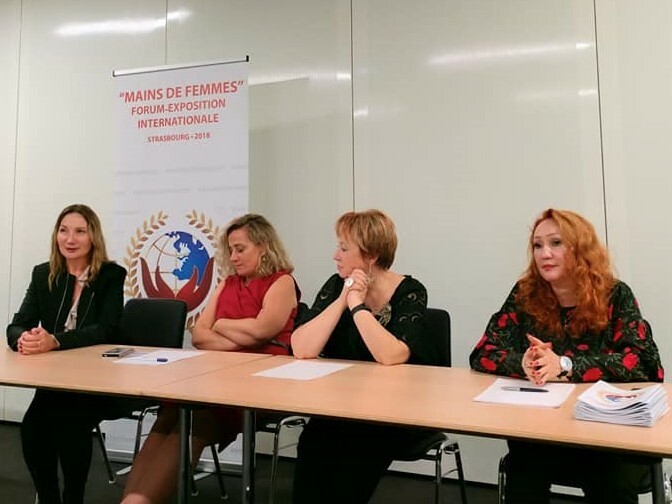 The Foundation “Zur Art” expresses its gratitude to the Association “Russian House in Strasbourg”, France, Strasbourg, “Aperture”, Russia, city of Kazan for the help in the organization of the International forum of the exhibition “Hands of a woman”. 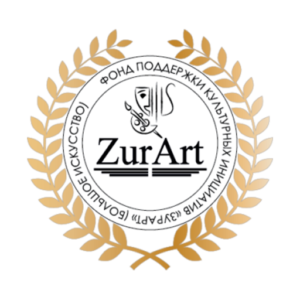 The Fund “Zur Art” made an important decision for the masters of arts and crafts, who took part in such a large – scale event — the creation of an electronic catalog of unique works of folk art in English and Russian to promote artists on the international market. The electronic catalog will be posted on The website of the international forum of the exhibition “women’s Hands”, which will show our talented masters around the world. 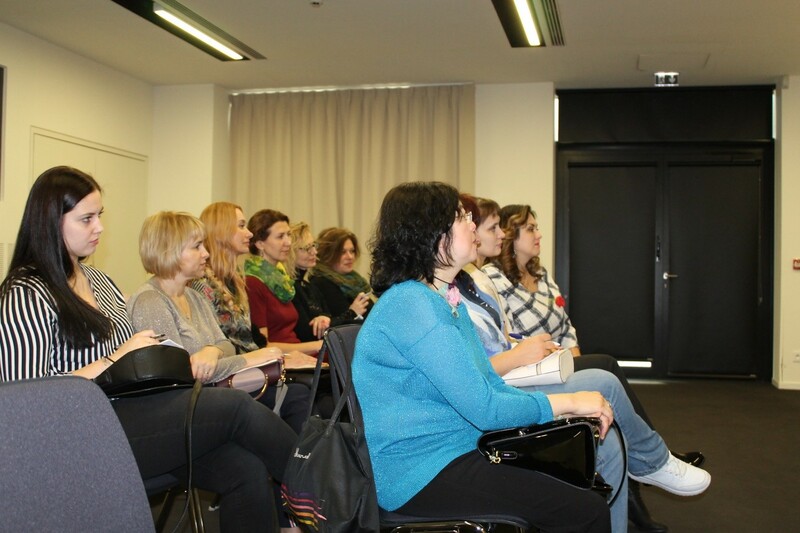 In the future, the Fund “Zur Art” plans to hold personal exhibitions of masters of arts and crafts in the framework of the project “women’s Hands”, selected by the expert Council, in European countries. Grigorieva Elena-artist-designer, master of arts and crafts. Diploma of the Russian exhibitions and festivals, the Winner of the all-Russian Festival of arts and crafts “Hands of the woman”, Tyumen. Bykov Vera – painter, folk artist of the Russian Federation. Diploma holder of international, all-Russian festivals and exhibitions, Tyumen. Nogovitsyn of MASCOTA V.-master feltmaker. The winner of the Republican exhibition of felt art “Winter begins with Yakutia”, Yakutsk – Sakha (Yakutia). Dmitrieva-Nokhsorov Juliana. Winner of 6 exhibitions of the Republic “Beads of the North” Diploma of the 1st degree and audience sympathy of the international exhibition “time binding thread”, Yakutsk – Sakha (Yakutia). Elena Tumanova-author of modern wood painting “Tumanovskaya”, master of arts and crafts, folk arts and crafts of the Vladimir region, Honorary member of the all-Russian Academy of folk art, has a medal of the order of merit for the Fatherland “II degree, Kolchugino, Vladimir region. Lidia Tskhovrbova – designer YALIDIA, artist-designer, Member of the Moscow Union of Artists, Member of the Association of fashion Designers of Russia, Member of International and Russian shows and exhibitions, Winner of the all-Russian Festival of decorative arts “Hands of women”, Moscow. 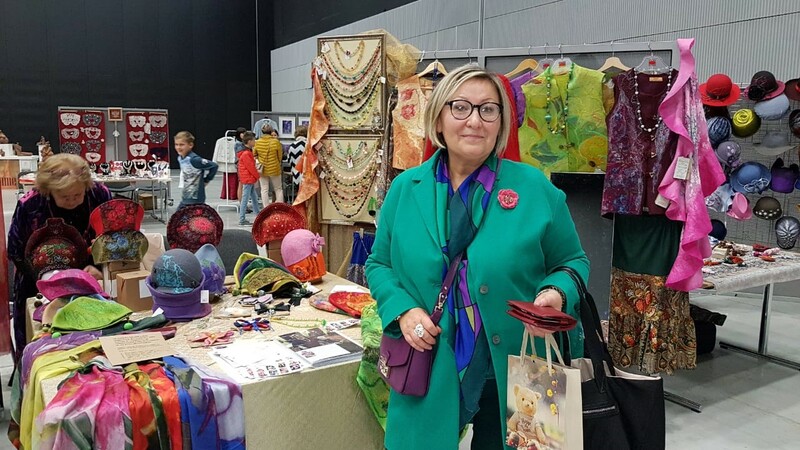 Karimova Guzel-the Creator of the author’s traditional and stylized jewelry-bibs-celtyar, tushelderek, Yaga, made in the technique of beading, Ufa, Republic of Bashkortostan. Mukhlynina Anastasia — Horde painting was developed 16 years ago Mukhlynina Nina, mistress from the village of ordynskoe in Novosibirsk region. The main theme of the plots is the nature of Siberia and its uniqueness. Products are awarded with gold medals of the largest exhibitions of Russia, Novosibirsk region, R. p. Ordynskoye. Albina Sharonova — Creative workshop AlbinaToys. Author’s textile doll, interior wreaths. Training, master classes, patterns, online school, Kazan, Republic of Tatarstan. Irina Khalitova – creative workshop AlbinaToys. Author’s textile doll, interior wreaths. Training, master classes, patterns, online school, Kazan, Republic of Tatarstan. Kruglenko, Lyudmila — work made in technique of plasticine painting is a bold new experiment in art, drawn with fingertips, Irkutsk. Oksana Filchakova-artist, jeweler, member of the Union of Designers of Russia. The winner of the all-Russian Festival of arts and crafts “Hands of a woman”, Omsk. Angelica Yuzhakova, Sculptor, and ceramist. Member of the Union of artists of Russia since 1995. Chairman of the WTO “Union of artists of Russia”. Scholarship holder of the Ministry of Culture of Russia, Moscow (1997). Participant of exhibitions: city, regional, regional, all-Russian, international and personal, Winner of the all-Russian Festival of decorative arts “Hands of women” Nizhny Tagil, Sverdlovsk region. Julia Komarova – “Creative workshop JK” – is the author’s products made of Merino wool using a variety of fibers: flax, nettle, hemp, viscose and natural silk, made on individual projects in the technique of wet felting, Vologda. Workshop iLLi Tweed & Jacket founded in January of 2016 twins: Kuchmenko Lvovskaya Julia and Natalia, the Workshop is self-tailoring and production of collections of clothes from tweed and boucle, Moscow. Victoria Zubareva-the BellaVita trademark exists since 1998, 20 years of work in the market of fur business. The basis of work is-fur. Victoria preserved the traditions of the peoples of Siberia. 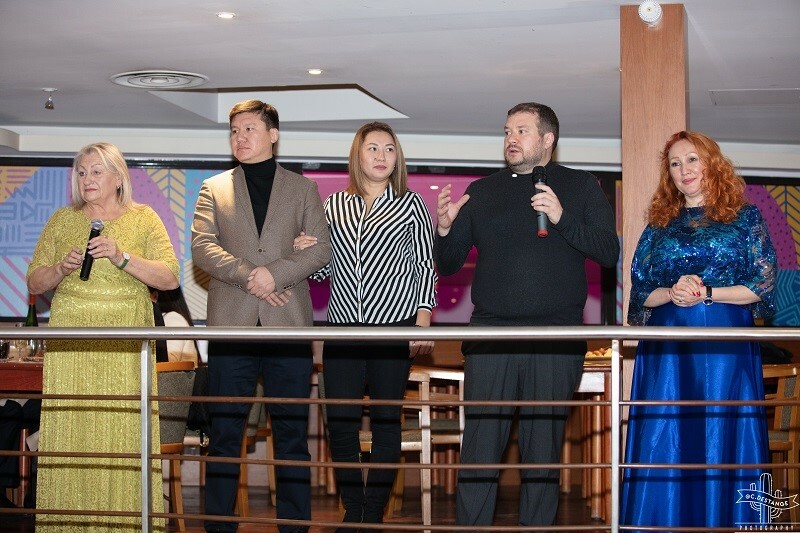 One of the main priorities of BellaVita is participation in charity events, namely sponsorship and assistance in socialization of children with cerebral palsy syndrome, Moscow. Stashkevich Svetlana – master of arts and crafts, participant of the festival of arts And crafts “Hands of women”, Syzran, Samara region. Participants of numerous city, regional, regional, national and international exhibitions of decorative art. 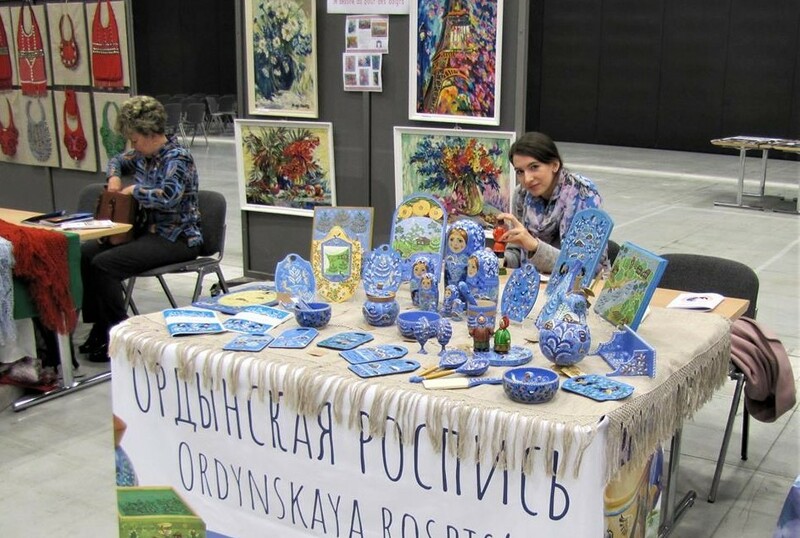 Winners of the interregional competition of ceramists in Tomsk, Chelyabinsk, Kurgan. Elena Medvedeva is a fashion designer. 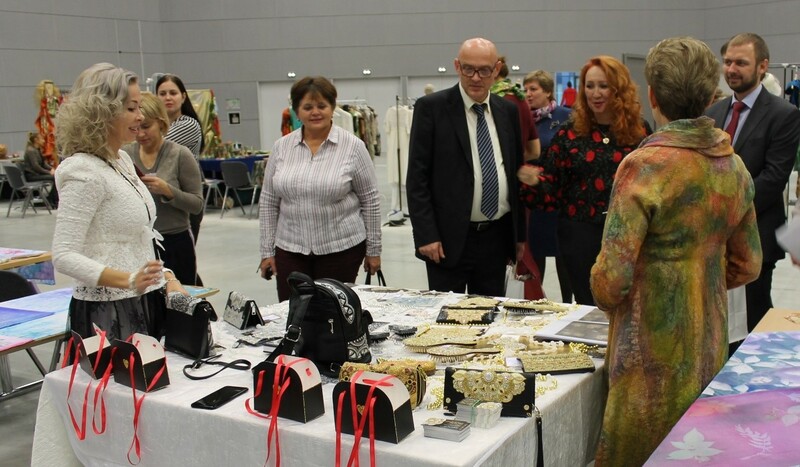 The beginning of creative activity began in 1992 at the festival of fashion in the city of Tyumen under the auspices of the V. M. Zaitsev, and G. Kurgan. Amirova Alfiya-the Head of The international project “Hands of the woman”, the President of The international Union of Women, Moscow. Rosalina Ibragimova – General Director of LLC “Aperture”, Kazan, Republic of Tatarstan. Lyubov Lodygina – General Director of the company “GOLDEN LIONESS”, founder and owner of the trademarks” Imperial flax “and” Imperial lace”, Moscow. Svetlana Kornitskaya-Chairman of the local public organization “large families of Nadym district”, Nadym, Yamalo-Nenets Autonomous district of the Russian Federation. Angelica Yuzhakova-Chairman of the WTO “Union of artists of Russia”. Scholarship holder of the Ministry of Culture of Russia, Moscow (1997), Nizhny Tagil, Sverdlovsk region. Oksana Filchakova-artist, jeweler, member of the Union of Designers of Russia, Omsk. Medvedeva Elena is a fashion designer, Kurgan. Ilovska Natalia — a fashion designer. Workshop iLLi Tweed & Jacket, Moscow. 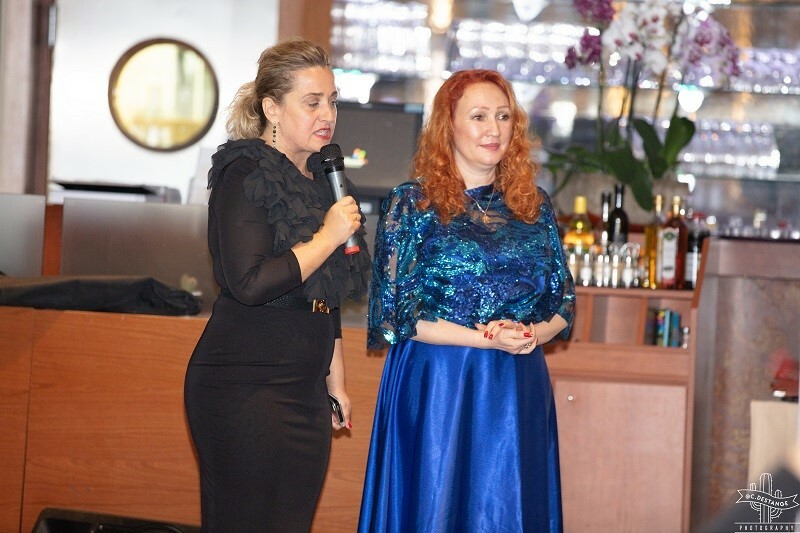 The fashion show from the Russian Federation was attended by fashion designer-Victoria Zubareva. The BellaVita trademark exists since 1998, 20 years of work in the market of fur business. The basis of work is-fur. Victoria preserved the traditions of the peoples of Siberia, Moscow. In the shows were used accessories brands “Imperial flax” and “Imperial lace”, Moscow.